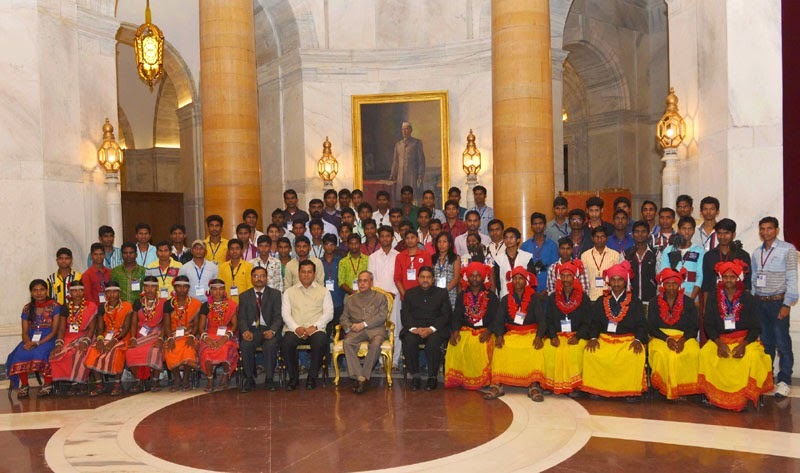 The President, Shri Pranab Mukherjee with the youths attending 7th Tribal Youth Exchange programme, organised by the Nehru Yuva Kendra Sangathan, at Rashtrapati Bhavan, in New Delhi on March 28, 2015. 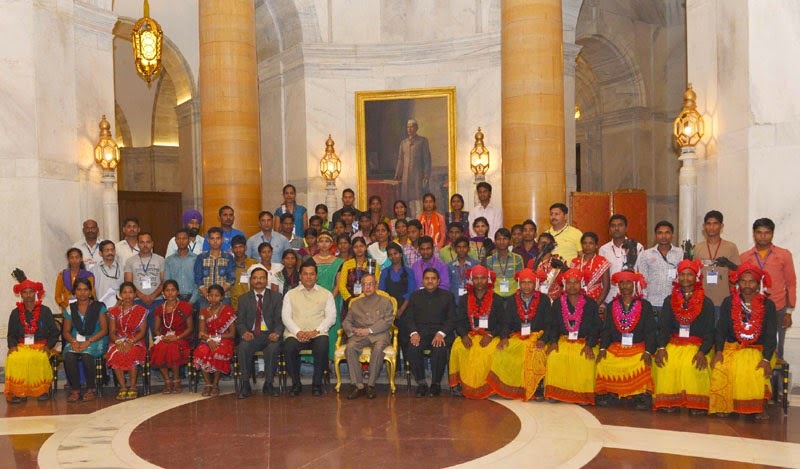 The Minister of State for Youth Affairs and Sports (Independent Charge), Shri Sarbananda Sonowal is also seen. 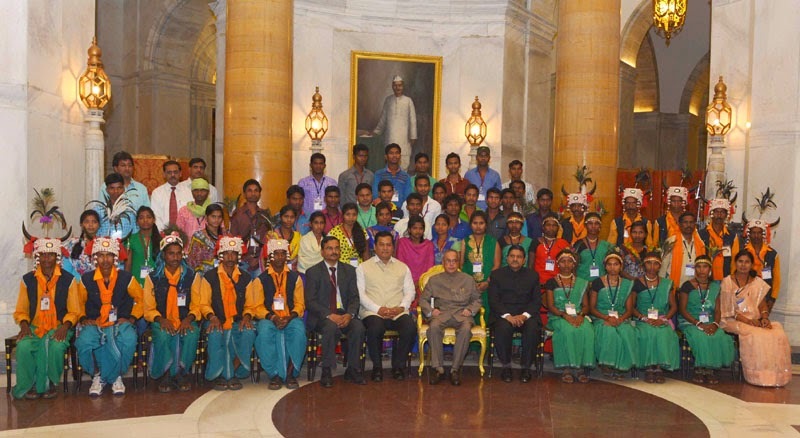 The President, Shri Pranab Mukherjee being presented a memento by participant of the 7th Tribal Youth Exchange programme, organised by the Nehru Yuva Kendra Sangathan, at Rashtrapati Bhavan, in New Delhi on March 28, 2015. 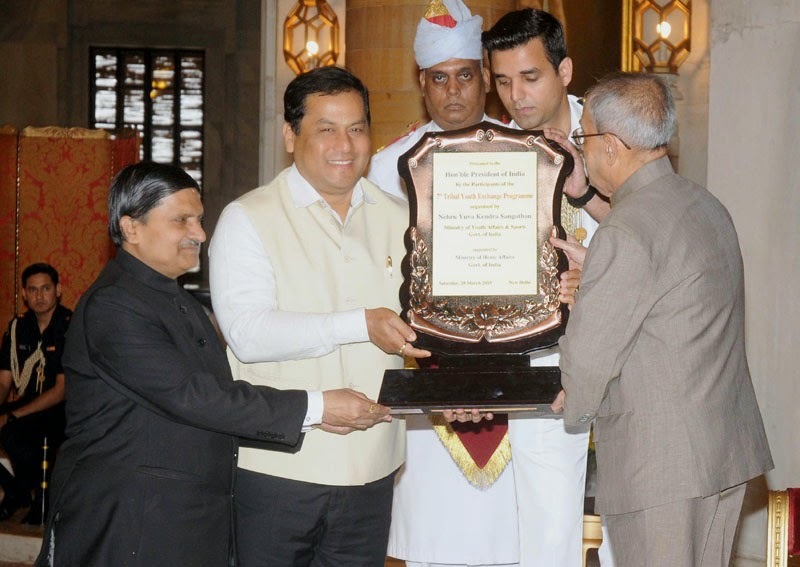 The Minister of State for Youth Affairs and Sports (Independent Charge), Shri Sarbananda Sonowal is also seen. 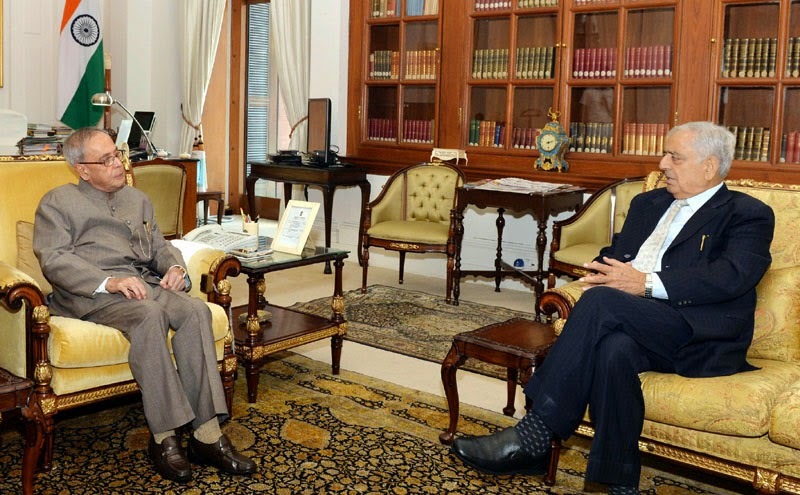 The Chief Minister of Jammu & Kashmir, Shri Mufti Mohammad Sayeed calling on the President, Shri Pranab Mukherjee, in New Delhi on March 28, 2015. 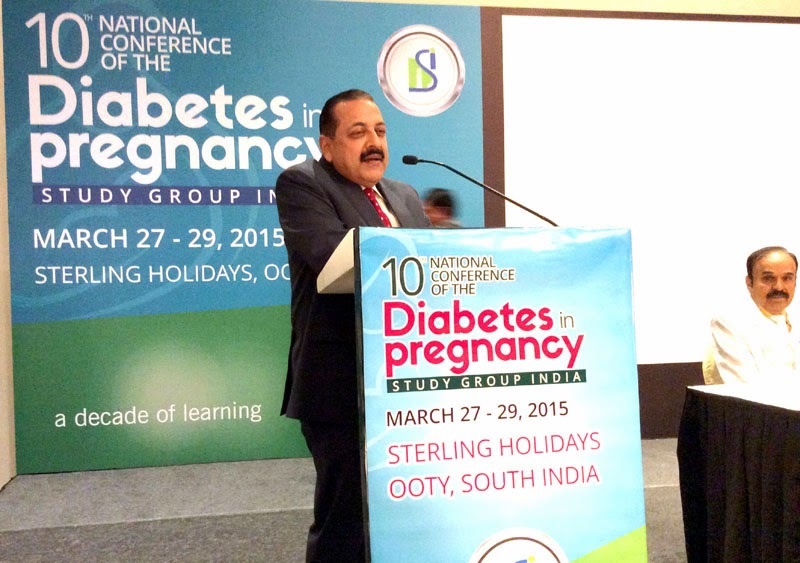 The Minister of State for Development of North Eastern Region (I/C), Prime Minister’s Office, Personnel, Public Grievances & Pensions, Department of Atomic Energy, Department of Space, Dr. Jitendra Singh addressing at the inaugural session of the Annual Conference of Diabetes in Pregnancy (DIPSI 2015), in Ooty, Tamilnadu on Monday 28, 2015. 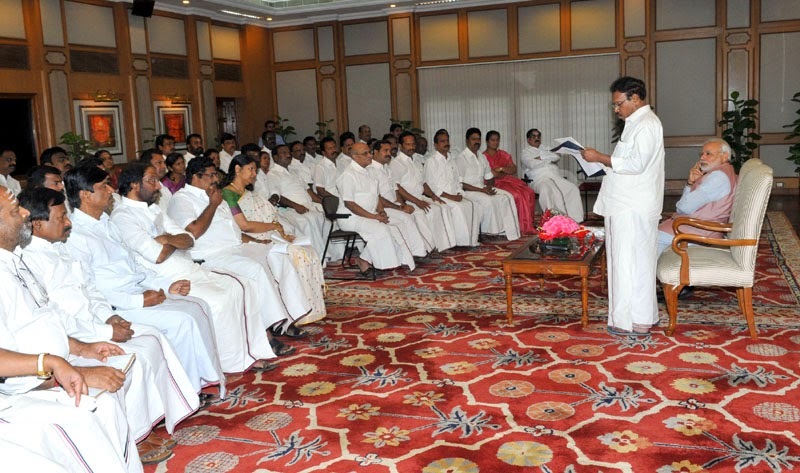 All party delegation of MPs from Tamil Nadu calls on the Prime Minister, Shri Narendra Modi, in New Delhi on March 28, 2015. 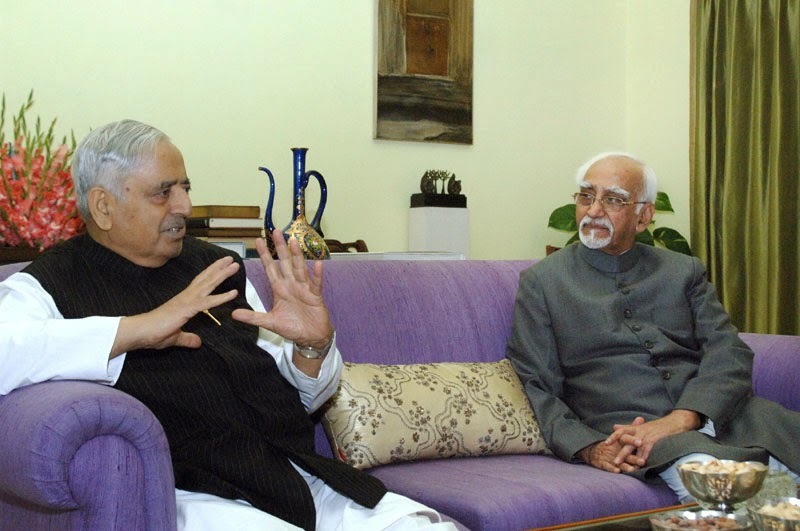 The Chief Minister of Jammu & Kashmir, Shri Mufti Mohammad Sayeed calling on the Vice President, Shri Mohd. 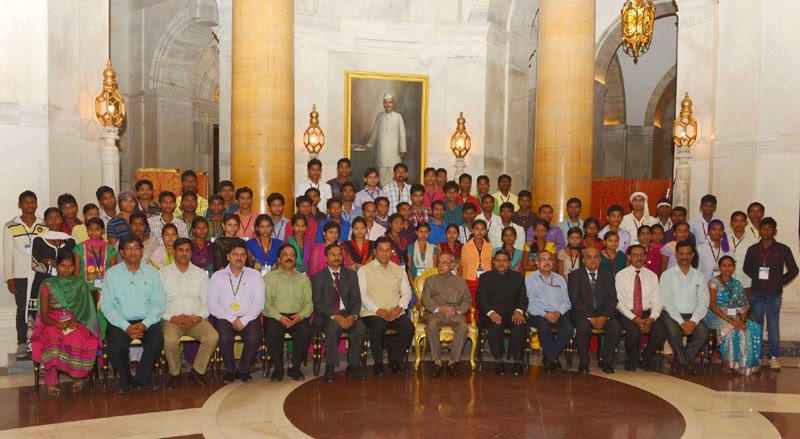 Hamid Ansari, in New Delhi on March 28, 2015. 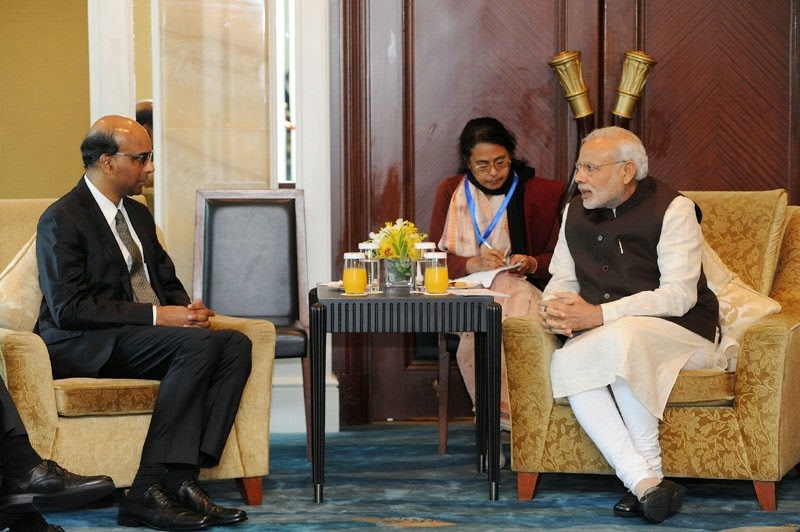 The Deputy Prime Minister, Singapore, Mr. Tharman Shanmugaratnam calls on the Prime Minister, Shri Narendra Modi, in Singapore on March 29, 2015. 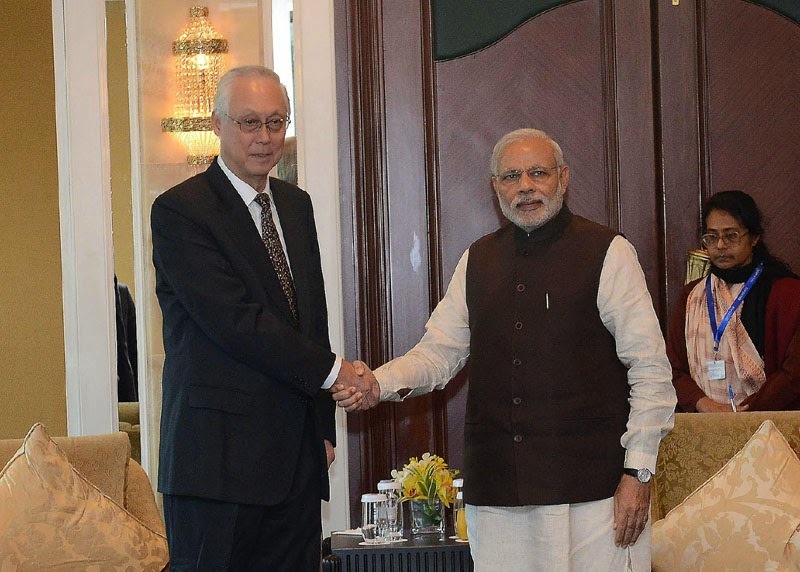 The Emeritus Senior Minister of Singapore, Mr. Goh Chok Tong calls on the Prime Minister, Shri Narendra Modi, in Singapore on March 29, 2015. 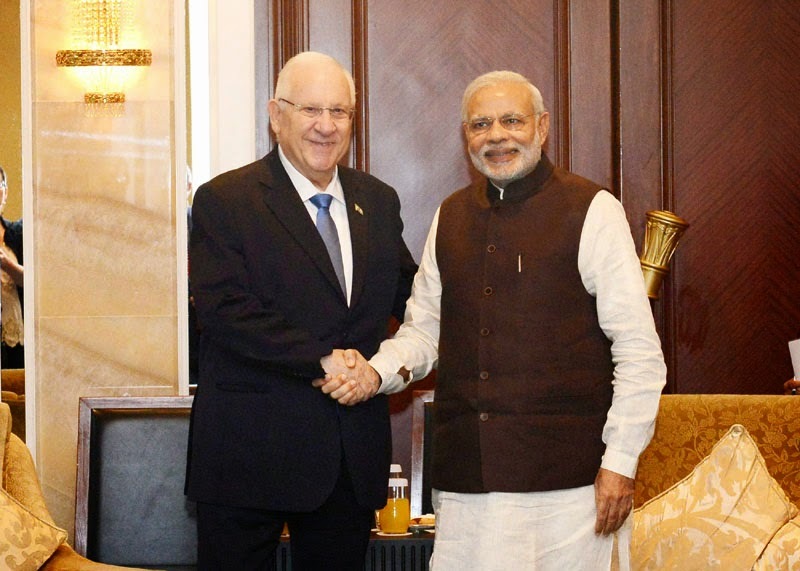 The Prime Minister, Shri Narendra Modi meeting the President of Israel, Mr Reuven Rivlin, in Singapore on March 29, 2015. The Union Minister for Urban Development, Housing and Urban Poverty Alleviation and Parliamentary Affairs, Shri M. Venkaiah Naidu, the Union Minister for Human Resource Development, Smt. 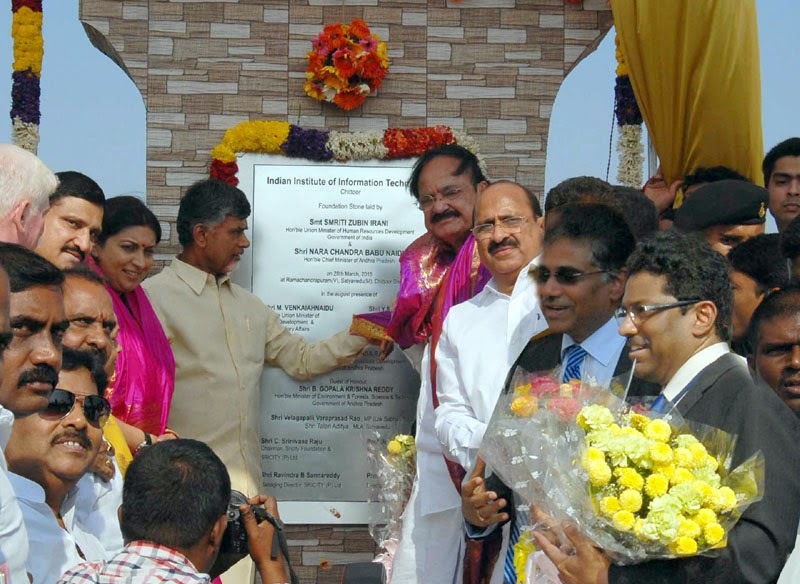 Smriti Irani and the Chief Minister of Andhra Pradesh, Shri N. Chandrababu Naidu laid the foundation stone and unveiled the plaques for Indian Institute of Information Technology (IIIT),-Chittoor, Indian Institute of Technology (IIT)-Tirupati, and Indian Institute of Science Education and Research (IISER), at Panguru Village, in Yerpedu Mandal, near Tirupati, in Chittoor District on March 28, 2015. The Union Minister for Urban Development, Housing and Urban Poverty Alleviation and Parliamentary Affairs, Shri M. Venkaiah Naidu at the foundation stone laying ceremony for Indian Institute of Information Technology (IIIT),-Chittoor, Indian Institute of Technology (IIT)-Tirupati, and Indian Institute of Science Education and Research (IISER), at Panguru Village, in Yerpedu Mandal, near Tirupati, in Chittoor District on March 28, 2015. 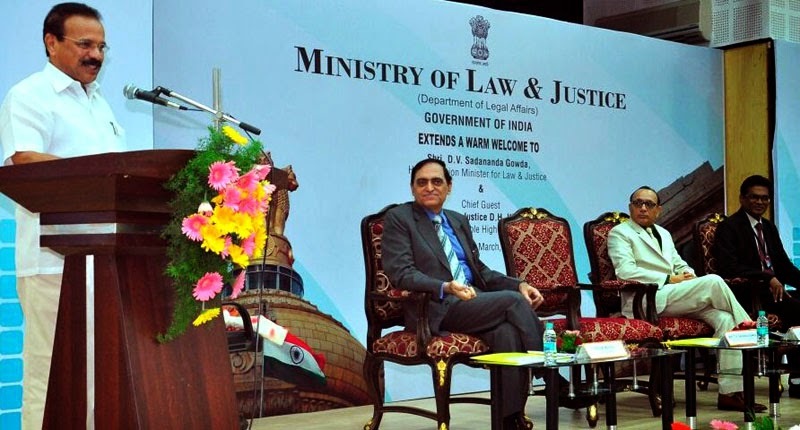 The Union Minister for Human Resource Development, Smt. 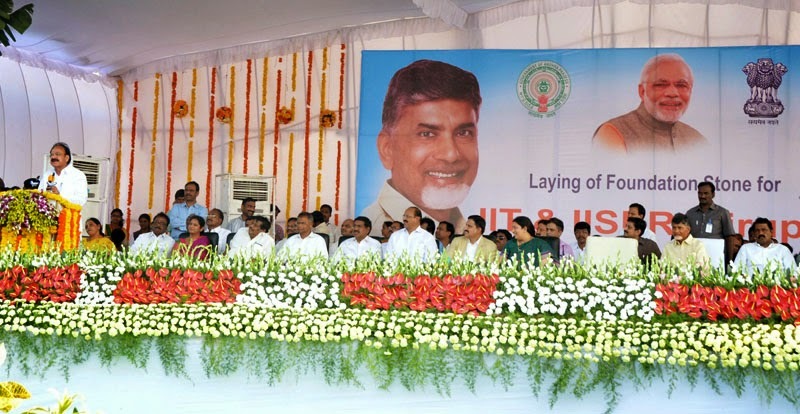 Smriti Irani and the Chief Minister of Andhra Pradesh, Shri N. Chandrababu Naidu and other dignitaries are also seen. The Union Minister for Human Resource Development, Smt. 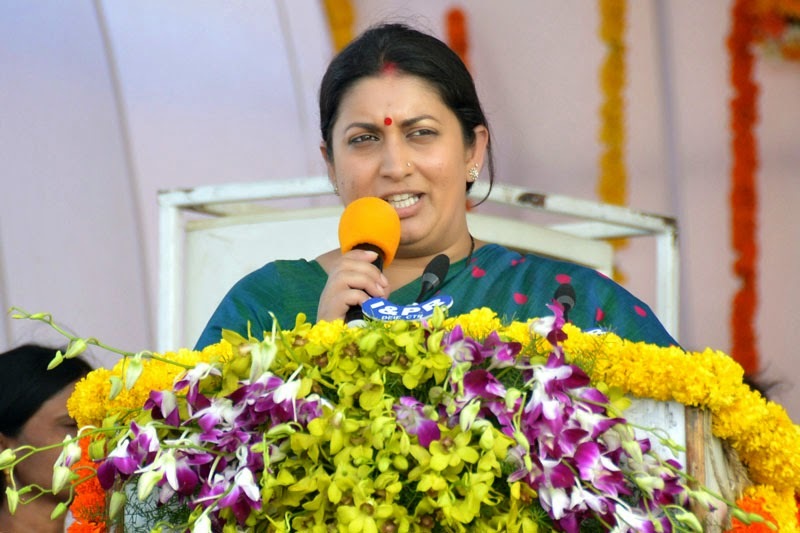 Smriti Irani at the foundation stone laying ceremony for Indian Institute of Information Technology (IIIT),-Chittoor, Indian Institute of Technology (IIT)-Tirupati, and Indian Institute of Science Education and Research (IISER), at Panguru Village, in Yerpedu Mandal, near Tirupati, in Chittoor District on March 28, 2015.